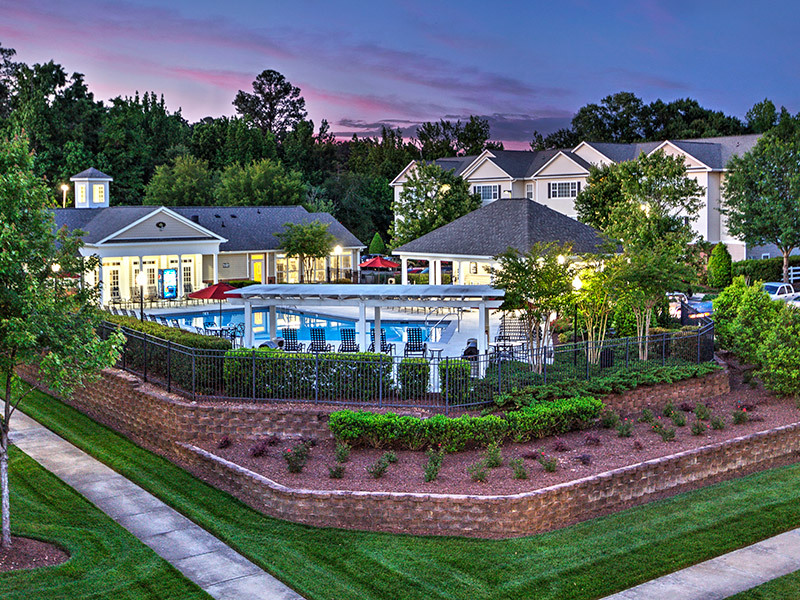 Auston Grove is located right off the beltline (I440) and minutes to downtown Raleigh and Wake Medical. Recognized with Apartment Ratings "Top Rated" Award and HHHunt's "Community of the Year. No matter how you look at it, Auston Grove has all the right features. We are convenient to US.64E, I-440 beltline, I-540, Zebulon and downtown as well as 30 minutes from Wilson and 45 minutes from Rocky Mount–but in an attractive, pedestrian-friendly neighborhood. You can even walk to the grocery store! What's more, our apartment homes include desirable features such as nine-foot ceilings and crown molding. We have an internet cafe with Free WiFi on property. And our rents are very affordable. Developer-owned and managed for customer service assurance. So make your move to Auston Grove. Its the kind of community you've been looking for but couldn't find. Until now.